Big or small, there is something about Fly Fishing for Pike in Northern Michigan that keeps me on the hunt time and again. 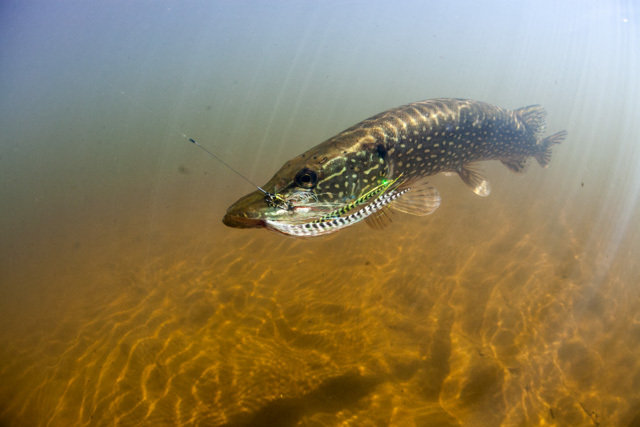 Pike are a sit-and-wait predator using extreme bursts of energy to capture prey. The explosive takes and “I wanna kill it” nature are what make these fish so much fun on a fly rod. I think pike are very overlooked as a game fish on the fly and one great thing about Northern Michigan is…. there are pike everywhere! 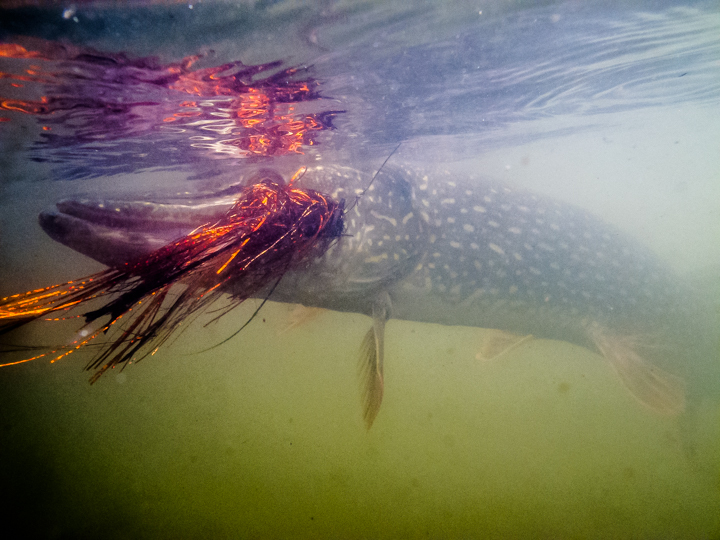 Chances are there are pike in most of the water you fish, but you may not know it. Sometimes it’s a timing thing or a location thing, but they are there. Pike can be found in lakes and rivers, so keep that in mind when you are scouting for your next fishing trip. Keep in mind Northern Michigan is a fickle beast so water temps and weather play a major role in the “when and where” whether its earlier or later in each season is up to mother nature. 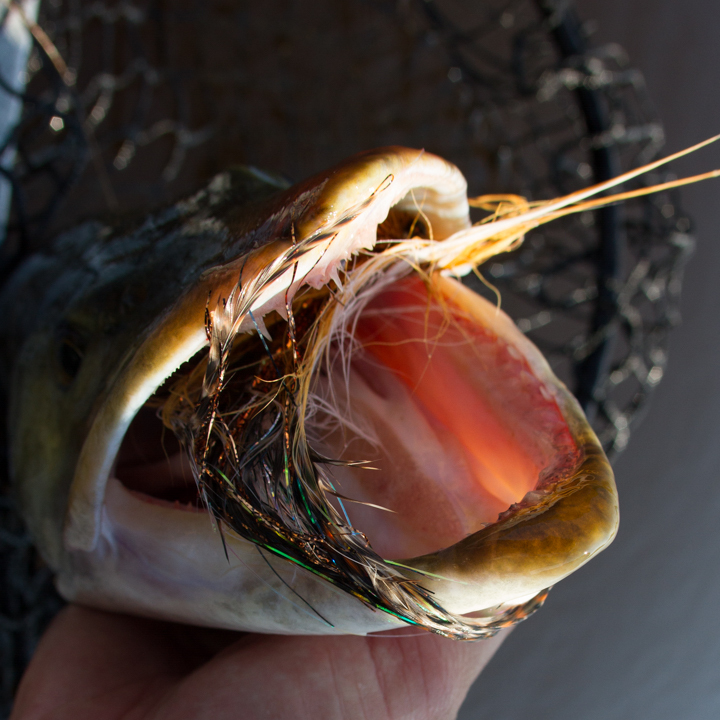 Targeting pike on the fly can be done most of the year, but Spring time gives us the best opportunity as fly anglers as fish head to shallow water for food, warmth and to spawn. Pike spawn when the water temps hit 45-50 degrees, so this gives us an idea of when fish will start to show up shallow. They are very hungry from their lethargic winter and are very receptive to a fly this time of year as they have not seen much of anything as far as technology goes. Optimum water temps for pike are 65 degrees and they will seek out that water temp and the most oxygenated water most of the year. In lakes: shallow flats and weedy or woody areas are spots we need to focus on and in rivers: bayous, slower sloughs and small tributary mouths are areas of importance. In the Summer in lakes, pike like the deeper cooler water, heading shallow to feed in low light cooler conditions. This time of year weeds are more prominent and easy to find giving an angler an advantage of having a distinct weed line to fish. In a river habitat pike will feed just about any time of day, holding on structure and in very slow sloughs or in the slowest current seems waiting to ambush. They will tend to hold in deeper cooler water due to summer heat and are more lethargic so slow fly presentations are key. In Fall, fish tend to gravitate to warmer water and chase the bait, so focus on water temps and the food source to have success. Look to deeper points and saddles for suspended fish as they occupy these areas. I like to use a 9 or 10wt rod with a sink tip, floating line, or intermediate line all depending on the situation, time of year and location I am fishing. Scientific Anglers makes some great lines for this application. The Titan taper is a go to floating when fly fishing for pike. With the Intermediate Titan Taper a close second must have line arsenal. Orvis also makes some great sink tip lines Hydros HD for when you need to get that fly deep. Anywhere from 350-450 grains should be what you need to pair up with your fly rod set up and fly choice. Steel leaders are a must have when fishing for anything with teeth; as we don’t want to loose our beautiful fly creations that usually take us some time at the vice. There are a lot of brands out there, but I like to use tyger leader connected to a hand tied tapered leader. I love presenting big crazy flies to pike, just waiting for them to blow up on it! This is an advantage we have as fly anglers, really being able to slow down our presentation letting the materials we use do the work for us! There are a lot of great fly patterns out on the market today with some great stuff by Great Lakes Fly and you can get very creative on the vice(baby ducks, loons, frogs) as long as you have a few key elements to your fly: size, shape, and movement. Some great materials that have excellent movement and are easy to tie with are rabbit strips, flashabou, and yak hair. Pike prefer to eat other fish that are easier for them to swallow like smaller pike and leaches, but will eat just about anything that presents an easy target. 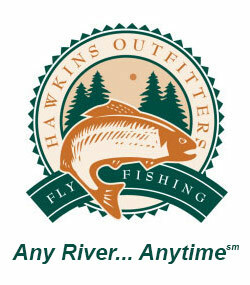 Chasing big predators is a passion for all of us here at Hawkins Outfitters and we love to share our knowledge and insight into one of Northern Michigan’s overlooked game fish. From the aggressive, explosive takes to the hard pulling nature of these fish; we love every aspect of the hunt and look forward to spending some time with you out on the water. If you are looking to get into chasing a new species or want to expand your knowledge and casting skills to big aggressive fish, give us a call and get in on some of the action.